What I learned about being afraid while on the road to well-being. Your symptoms go away when you don’t need them anymore. They may not be the enemy you think they are. These are some of the questions I ask my medical intuitive clients as we work towards finding the root cause of their illness and unhappiness and the path to healing. I hope they are helpful for you. – What is the illness, accident, etc. keeping you from doing? Be specific, don’t just say living life. Dig deep — think about not only what you would be doing in a practical sense but also what you would love to be doing if you had no limitations or fear. – What happened around the time you started to have symptoms? Again, be specific. Often it is a time of stress. How did you feel emotionally at that time? Why was it so difficult? Maybe it was a time of great success. – What would be on your mind if it wasn’t your ill body or mind? What would you be thinking about? – Has anyone in your family been through similar circumstances? Who and at what age? If you don’t know, ask someone. – Are you honestly doing everything you possibly can to change your situation? The quick answer is “Of course” but really think about it. – What has the illness, etc brought you? What positive things have happened in your life because of it? The theme underlying all of these questions is fear. Fear makes us vulnerable to the effects of stress. Fear makes us doubt ourselves so we don’t think we are worth taking care of ourselves. 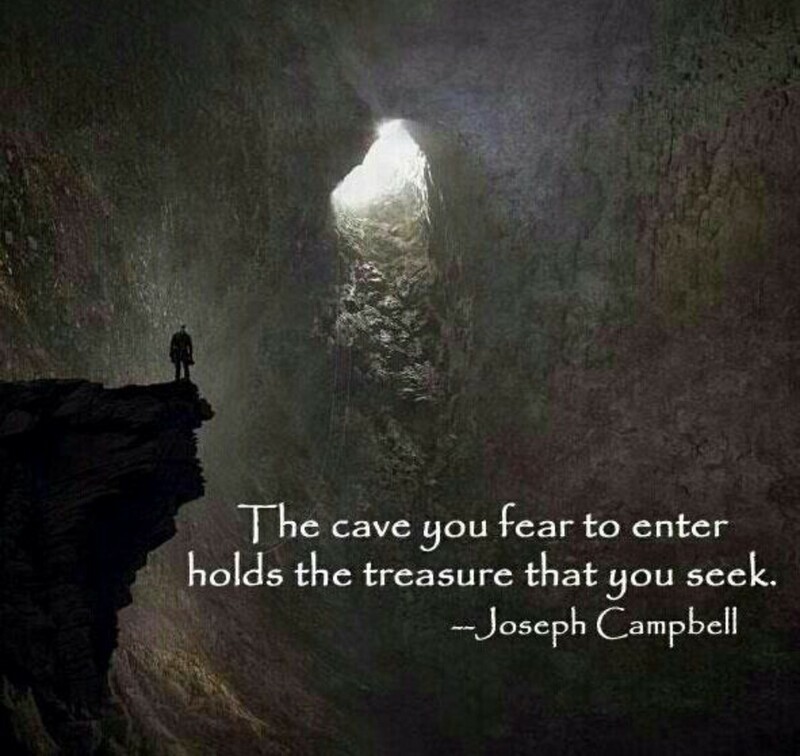 Fear makes us think we can’t fulfill our dreams or don’t deserve attention or success. Fear can make us sick and it can make us afraid to recover. Fear can make us focus on the negative, feel more comfortable being a victim and make us not stand up for ourselves. When I found out I had Lyme and related conditions, which I recovered from naturally, I refused to refer to myself as a Lyme patient even in my own mind. I even refused to say “my” Lyme. My guides told me that by doing this, I could remain separate from the illness. I am Katie, not a sickness. We are more than any limitations we may think we have. Serious illness can be scary but we can’t let it consume us. Use that fear as motivation to look into yourself, with brutal honesty. What needs to change for you to get better? Are you worth it? If the answer is no, think about why and get whatever help you need to make yourself a priority. Making changes can mean that the people around us have to change too. Your diet may change, your attitude will hopefully change and people you have been taking care of may need to become more independent. Many times, healing means speaking up for yourself when you may not have before, which may mean changes in relationships. I encounter this frequently with my clients. The people who make themselves a priority and stop taking crap from people, if they did before they became ill, are the ones who get better. It isn’t as scary as they thought it was. We are all afraid sometimes. I believe that negative forces take hold of that and use it to turn us away from being who we are truly meant to be, children of God. We are meant to be loving, productive, healthy, successful people. Fear tries to take all of that away. Don’t let evil energy win. Love is always more powerful.